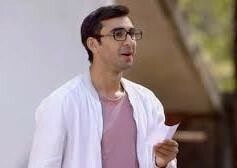 It was earlier seen that Ishita (Divyanka Tripathi) will come to know that Yug (Abhishek Verma) is Adi’s look alike and gets shock. Though she will try to hide Yug from the family but her attempt will get spoilt and Raman (Karan Patel) will see Yug and gets shocked. Raman and Ishita will try to find out about Yug and his past life and try to find a connection between Adi and Yug. Raman will hope that Yug might turn out to be his son Adi. Will Raman and Ishita be able to find the truth or not?